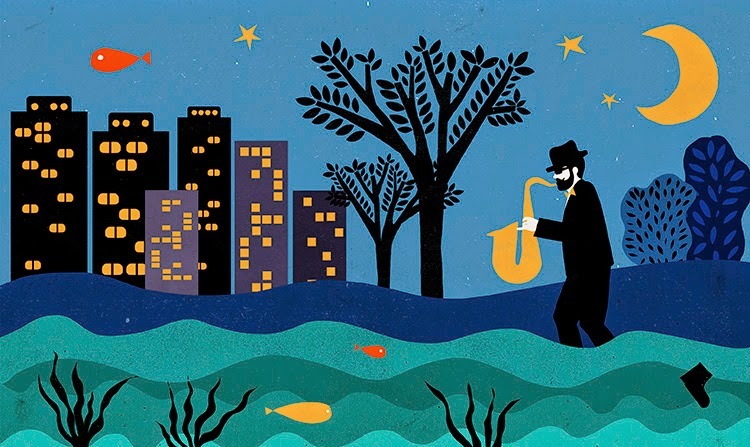 Joanna was kind enough to share with us a still from a clip she created together with the film group Karuzela for the jubilee, 50th edition of the festival Jazz Nad Odra 2014. It's one of the most important Jazz festivals in Poland (it took place in April). Here is the full animated film.